Drive them crazy too, if you wish. Your car is likely one of your most expensive possessions and it makes sense to want to keep it safe. By default, all modern cars are fitted with an alarm system, but car thieves are also capable of disabling even the latest car alarm systems. Therefore, it is a good idea to have backup security, such as a car steering lock. 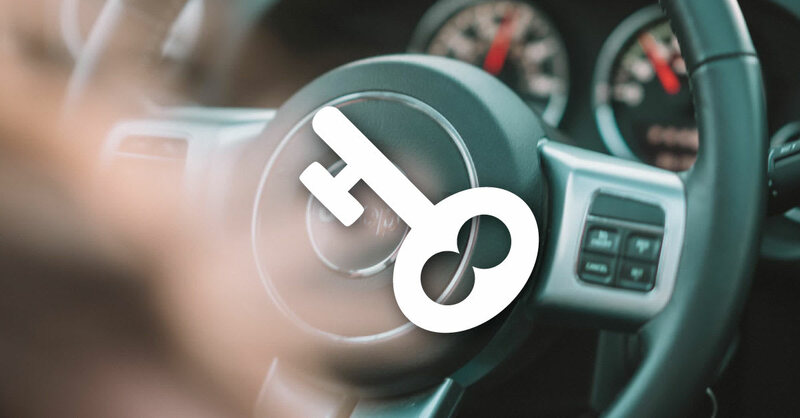 Although a car steering lock won’t keep a determined thief away, a physical lock on your steering wheel is a strong visual deterrent to any potential car theft. Steering locks are also fairly cheap. Not sure where to look? Here are some of the best steering locks available for purchase on the Malaysian market. This T style auto steering wheel lock features a heavy-duty locking mechanism with a circular key design which makes it virtually impossible to pick. Made of solid steel, it locks onto your steering wheel with the bar resting on your dashboard to immobilise movement of the steering wheel. No worries about scratching your dashboard as the device is vinyl coated to ensure it leaves no marks after use. Perfect for cars with steering wheels like the BMW 1 series. For double security, you can lock both your steering wheel and brake pedal with this budget lock. The universal fit means that you can use it on virtually any car. Despite the low price, this device is still well made featuring a tempered steel shaft and durable steel construction. To use, hook one end to the brake pedal and the other to the steering wheel. Then adjust the shaft tightly and activate the lock. The adjustable shaft allows the steering lock to fit on steering wheels big or smallest. Its small size is fitting for cars like a Mini Cooper. Sporting a compact, unique design which is both easy to use and store, this lock strap is a winner in our books. A simple device to install, the flexible steel cable wraps around your steering wheel in a loop and locks into the seat belt socket. When not in use, just roll up and store it under your seat or in the glove compartment of your car. The size of the lock makes it a good fit for your Jeep Wrangler. If your car steering wheel is fitted with a large airbag, you may find it incompatible to some steering locks. STOPLOCK’s steering lock is especially designed to curve over the airbag hump on your steering wheel and fit snugly while securing your steering wheel properly. The lock is crafted from high-grade steel and is easy to install and remove. If you are worried about losing your key to your steering lock, you may want to consider a keyless steering lock. Gere’s CL 32-21082 features a classic scalable steering lock design to fit most steering wheel sizes and is coated in soft rubber to reduce scratches. Simple to use, just memorise the code to lock and unlock your steering wheel. The Digi Plus Auto Security system steering lock provides you with a double theft deterrent. It is constructed from steel and high-grade aluminium with a built-in security alarm as additional security. Once locked and its alarm activated via a password, any thief who tries to remove it will have to deal with a piercing 130 dB alarm siren. The password is user programmable. As Ford Fiestas utilises a keyless feature to start, there’s a high risk of triggering the car into driving without the key nearby at all. Enter Yale, whom are famed for their high-quality products, including steering wheel locks. This universal fitting V168 will fit onto almost any steering wheel and securely locks your steering wheel. The lock features an extremely easy installation sequence where you can expand its brackets and have your steering wheel locked into place, preventing turning of the steering wheel. Construction wise, the V168 is crafted from heavy-duty hardened steel which is hard to saw through. Do you own a golf cart? If you do, you may want to get a sturdy steering lock to keep it from being carted away. This simple and easy to use lock latches onto your golf cart’s steering wheel, blocking would-be thieves from trying to turn the wheel. The lock is constructed from hardened iron to resist cutting and comes with an extra key.